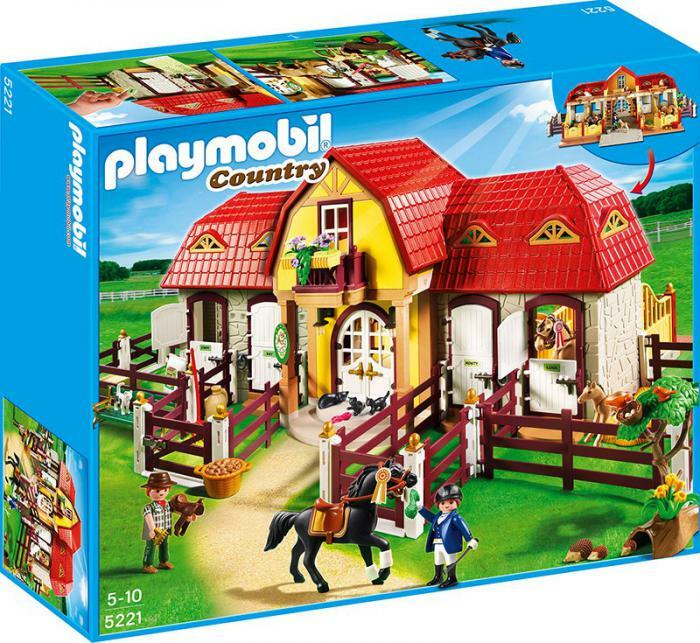 On the farm you can saddle up your horses to take them out for a ride. 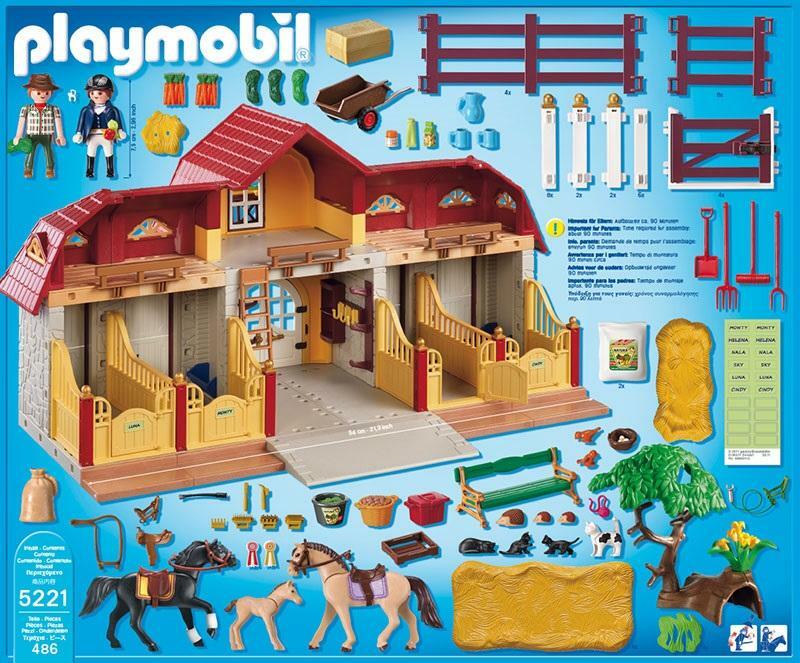 There is so much to do on the Playmobil horse farm; you won't know where to begin! 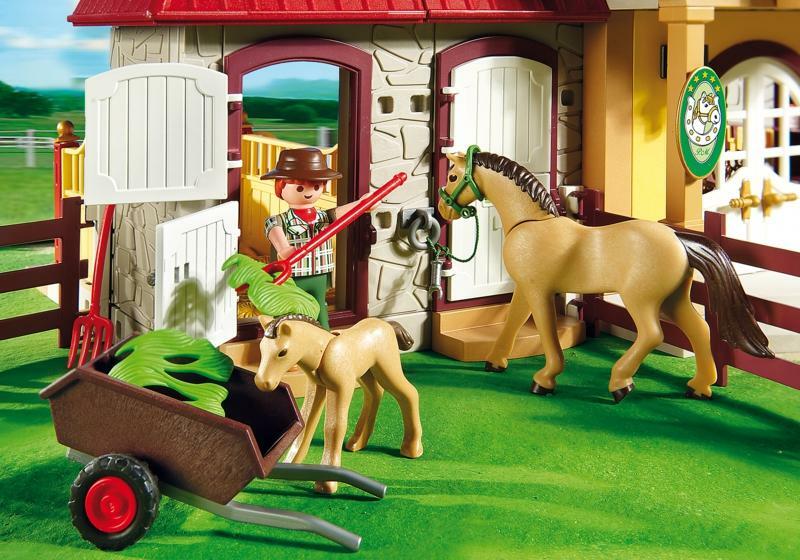 The riders can groom their horses with the brushes and combs provided; there is also a young foal to look after. Be careful of the little Hedgehog family also living on the farm. 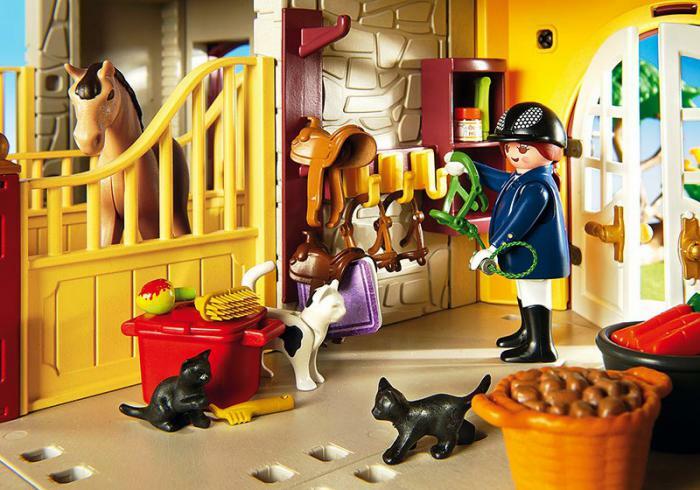 Practice show jumping and gallop around in the fields, return the horses safely to their stables at the end of the day to groom and feed them. 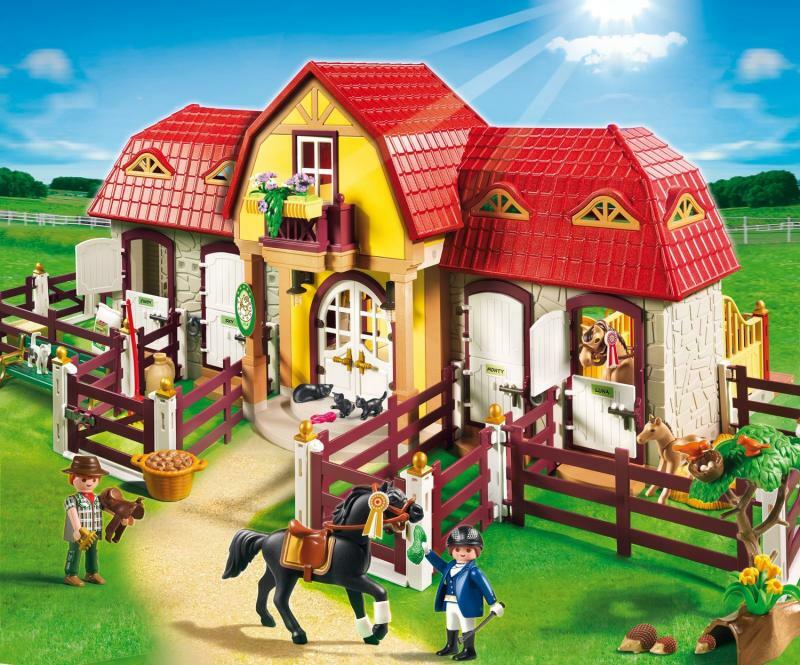 This Farm also comes with a gated entrance and indoor attic space ideal for storing unused riding gear, grooming implements, horse food, and other farm items. 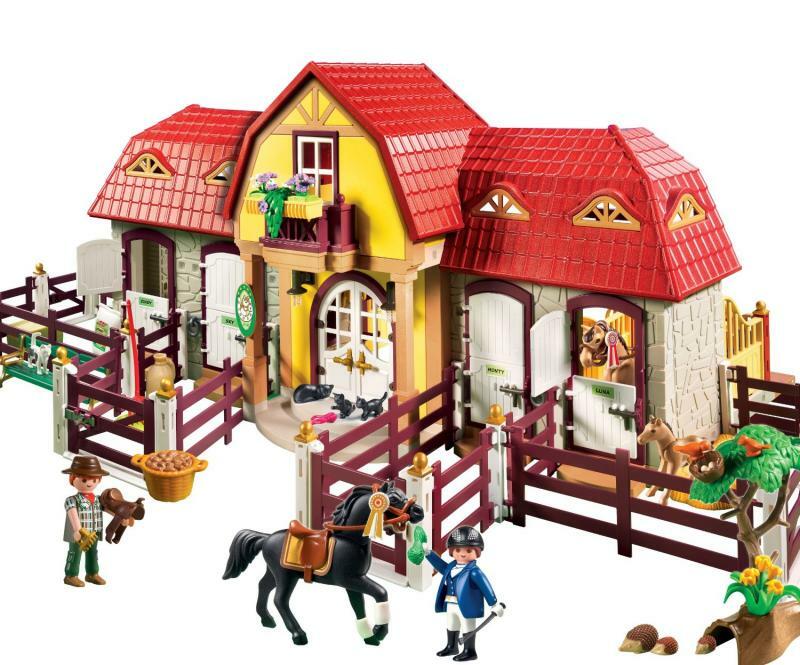 This set includes 2 horses, 1 foal, two mini-figure people, four cats, three very cute hedgehogs and two birds with a nest, and several more accessories to care for the horses and the farm. Recommended for ages 4 to 10. This items is currently not available to order online. Please enquire in store.